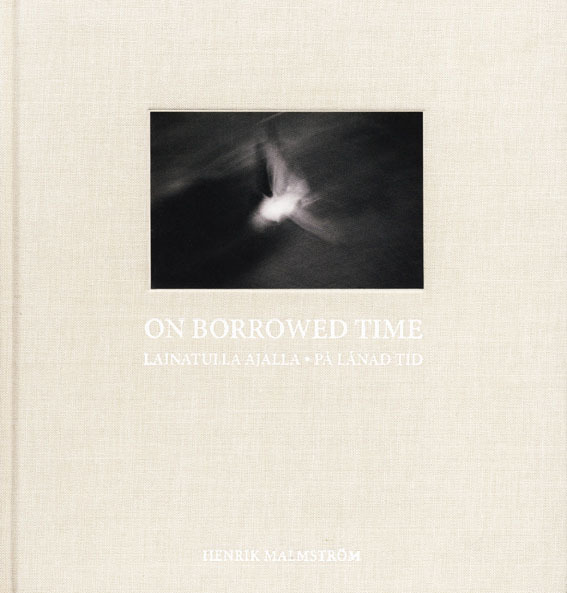 The self-published photobook by Henrik Malmstrom, On Borrowed Time, documents the final months, days and hours of his sister’s passing has really touched me. I found it difficult to write this review, having carried this book with me to Europe and back twice, picking it up often, but then unable to articulate my thoughts in a cohesive manner. 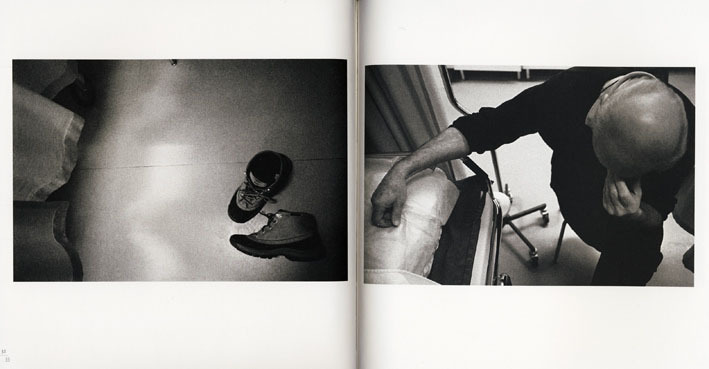 I know that this photobook has brought back many of my memories about the loss of my father to cancer many years ago. Dealing with the pending loss of a loved one is difficult, especially when that person is relatively young. Malmstrom’s older sister Maija first had to initially deal with ovarian cancer at the age of twenty only to find it returning eight years later with deadly vengeance. Another use of photograph in this situation is a process of dealing with the unthinkable, that someone you love will very soon not be with you. Doing something other than sitting and staring in a state of gloom can be a cooping mechanism that might get you through an event and distract you, however briefly, from the experiencing the miserable internal pain of pending loss. 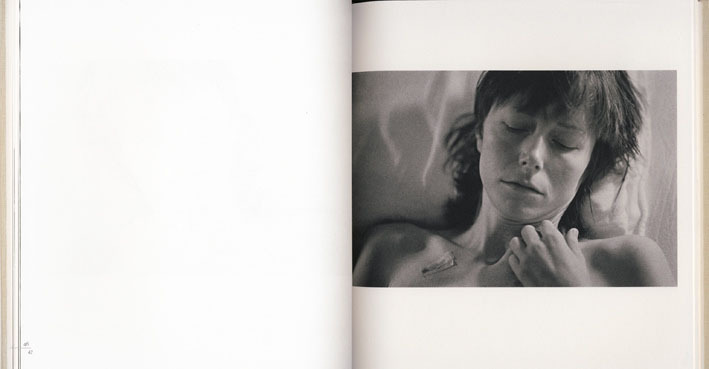 I sense that photographing his dying sister allowed both Malstrom and his sister a way to deal with the events as they unfolded, to share something, a gift that I think they gave each other. 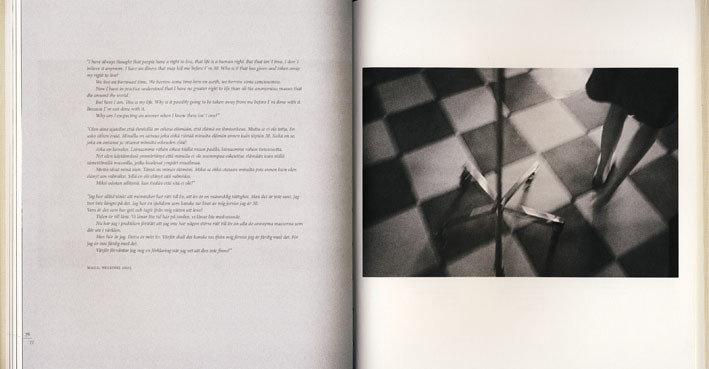 The book is a wonderful combination of direct documentary style photographs of the people and events in conjunction with metaphoric poetry that narrates a very touching story. The hardcover book is very nicely printed and bound, with the design and layout of the photographs providing a nice rhythm to his narrative.